In the early evening, my companions and I arrived at the lodge where we were staying for the next several days. As we unloaded our gear, I could not keep my eyes away from the view in front of me: a forest of Antarctic Beech trees ("Ñire" in Spanish) lit by the soft evening light. 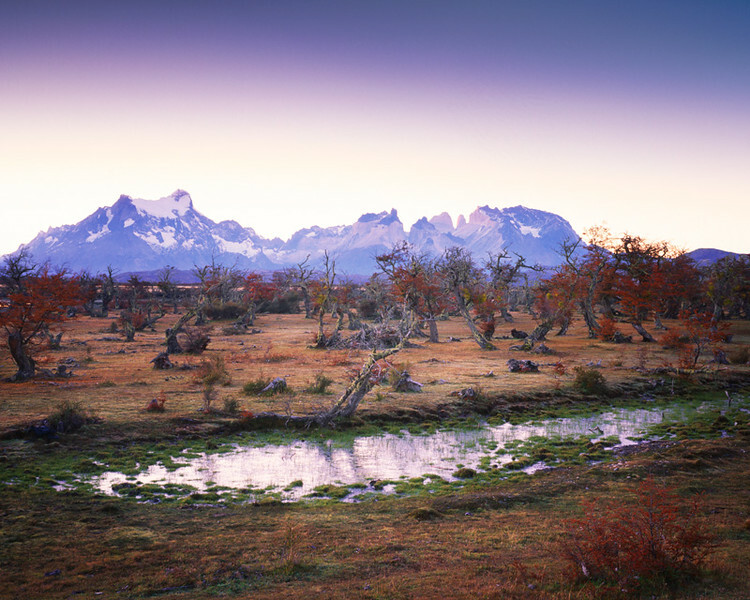 Native to southern Chile and Argentina, these trees typically grow to 25m, though due to the harsh and windy condiitons of Pategonia, the trees of this forest are stunted and are much shorter in height.